I've been using the following products I purchased from Pharmaca for about two months now. It's time for a review! Badger Anti-Bug Shake & Spray: We used this on a trip to northern Wisconsin and tested it out on hikes in many bug infested woods. It smelled great and seemed to do the job! Alaffia Everyday Shea Body Wash: I love this lavender scent and formula! It's refreshing and not overpowering. I would definitely purchase this again. MyChelle Daily Defense Cream SPF 17 I have been using this everyday under my foundation and it has worked really well. The formula is light and not chalky white. MyChelle Clear Skin Balancing Lotion This has been ok at preventing acne in my problem areas. I use it more often when I am PMSing and it doesn't seem to help that much, but maybe I need to switch foundations or my cleanser to better prevent acne. On a positive note, I really like the scent and the formula is also quite nice. I received two free samples with my order. One was a MyChelle product that failed because I could not get the product pump to work and the other was this beautiful Vapour Aura Multi use stain in sultry. Here it is on my lips! It's a great shade for blondes and a very moisturizing product. Here are a few things I've been loving lately! None of these items were sent to me for review and I was not compensated for this post. I was sick of how dysfunctional our old cutlery organizers were, so I purchased this expandable one from OXO and I love it! I was able to get it at a pretty huge discount with my Kohl's birthday coupon. It was around $17 (pre-coupon and Kohl's coupon). 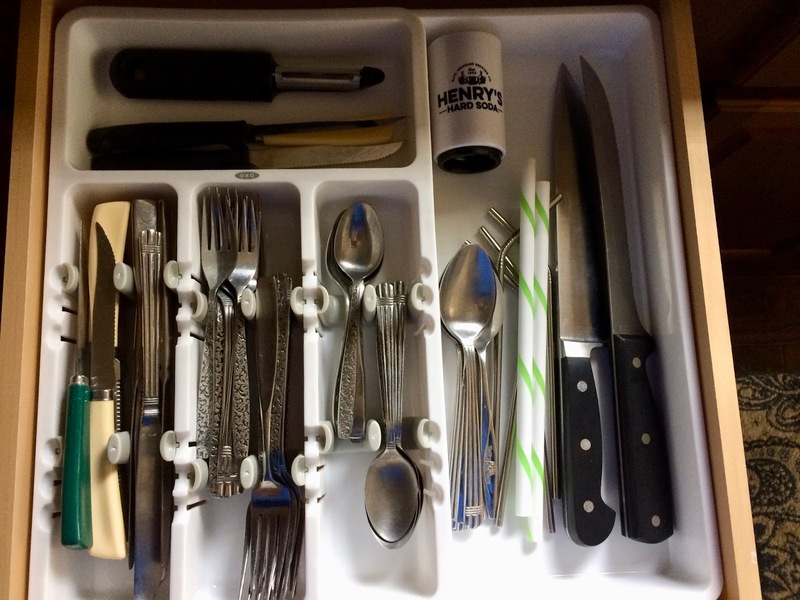 You can rearrange the way your silverware is held in place and expand the organizer to fit your drawer. It is very easy to clean/wipe-down and just makes me happy every time I see it! I'm obsessed with all things Scandinavian and minimalism lately, so when I randomly found Signe's YouTube channel, I knew I'd discovered a kindred spirit. Her realistic approach to fashion, beauty, organization, health, and more is so inspirational! Another YouTuber (Kitty Cotten) made me want one of these electric milk frothers after she featured it on her page. I researched different brands and models for a couple of months before I took the leap and purchased this one for around $42. Craig recently began enjoying mochas, so I figured we could save some money by making espresso and milk drinks at home! We don't drink dairy milk in our house, so I've been using the So Delicious Coconut Milk Creamers in unsweetened or french vanilla and it works really well! I have been using this daily and sometimes up to twice a day. It works wonderfully, is so easy to use and clean! It's already been worth it because I am less tempted to get a latte at a cafe. I know I can easily make one in less than five minutes at home. I'm an Aveda member and with that membership, I get a bonus of a free bottle of oil for my birthday every year. 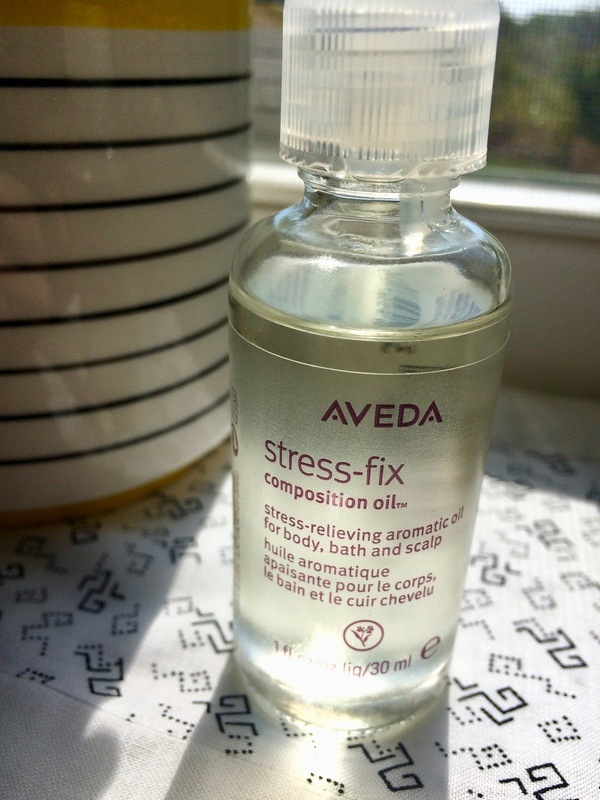 This year, I chose one of my favorite scents, the stress-fix blend. I have moved away from using lotions and prefer oil like this one for light moisturizing. It is a blend of certified organic lavender, clary sage, and lavandin. I never get tired of using lavender for stress reduction. What have you been loving lately? Share your favorite products, blogs, YouTubers, etc. below! Here's what the past two weeks looked like! This yogurt is not my favorite. I love almond milk, but this product has a weird almond flavor. Won't be buying it again. Lunch at a new Mexican restaurant near us! We both liked it, so we'll be back. This reminded me of Pema since he's such a little stinker with his hissing habit. He hasn't done it as much lately. Who knows why. VegNews magazine arriving in the mail is always a good mail day! Craig and I checked out a new library on our way home from something else. It is in an old town hall and we loved how creepy it felt inside. I really think both of us should work in a library. We're always excited to visit new ones. Breakfast on my 37th birthday! Lunch with my mama on my b-day in Delafield. Had lunch with great colleagues at one of my favorite vegetarian/vegan restaurants, Cafe Manna. This vegan Buddha bowl from the Cafe Manna specials menu was amazing! It was so fresh and had jackfruit instead of meat. We all shared raw mango pineapple cheesecake that I got for free since it was my b-day the day before! That was also to die for. Brunched with my high school friends yesterday! All six of us were finally together for the first time in a year, so we needed a photo! I have read 21 books so far this year and am getting closer to my goal of 31 for 2017. I need to fit in a few shorter books to make that happen or stay off my smart phone more! 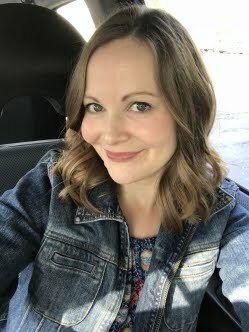 I have suffered from hormonal cystic acne since my early 20's and like most people with my condition, I am always looking for a quick solution! It turns out there isn't one and the author of this book presents that in an accessible and smart way. It really does come down to diet and proper cleansing. 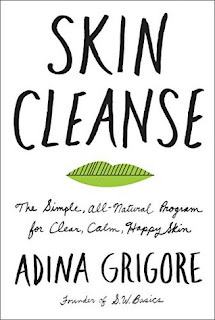 Author Adina Grigore is a holistic health coach and owner of the skincare line S.W. Basics. She offers great advice, recipes, and basically presents the idea that less is more when it comes to taking care of our largest organ. 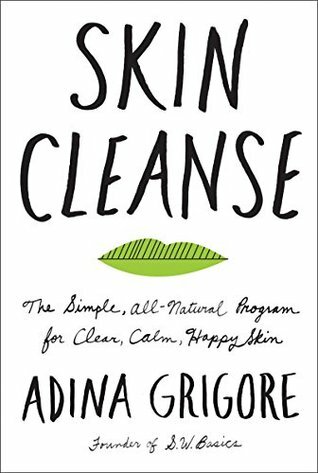 I highly recommend this book and once I finish up some products, I would also love to check out her fabulous sounding skincare line. I joined a new book club and this was our first selection. While I enjoyed the book, I would not have continued reading it if I didn't have the obligation to finish for a book club. I like that joining a club gives me the external obligation I sometimes need to read something outside the norm. I enjoy historical fiction, so the idea of a story set in World War II appealed to me. While I thought the book was well-written and I liked it, I thought it could have been about 200 pages shorter! I became immersed in the characters though and the story read quickly as a result. 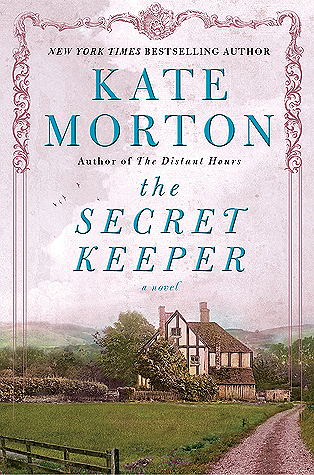 I had heard of author Kate Morton prior to reading this and it looks like she has a pretty good following. Perhaps I will pick up another title of hers in the future. I can't wait to see what my book club picks next! It's fun being a part of one again. 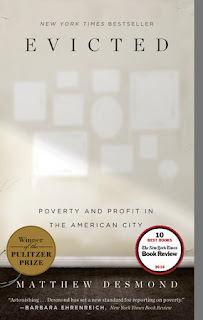 Evicted is one of the best non-fiction books I have read this year. It tells the true stories of six Milwaukee families living in poverty and their two landlords. Milwaukee is one of the most segregated cities in America and my hometown. Harvard sociologist Matthew Desmond immersed himself in his research in 2008-09 by living among the families and experiencing their plight. Because of this, he did an amazing job telling both sides of the tenant and landlord story. I am sad that my hometown is not able to offer better living situations and jobs for those in poverty. Some of the depictions of the roaches, dirty living conditions, eviction processes, and more made me so angry. 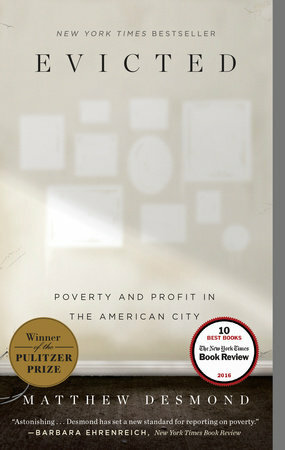 Evicted appeared on many bestseller lists last year and it won the Pulitzer Prize. I'm sure you've seen the cover advertised at your local bookstore or library. I think this book is perfect for book club discussions. Please consider reading this soon. You won't regret it. Disclosure: I received this book from Blogging for Books for this review. Now that I'm officially vegan, I thought I would start featuring restaurants that feature a few vegan items on their menu or are completely plant-based. Let's start this new series with the adorable and lady-owned Miss Molly's Cafe & Pastry Shop in Wauwatosa. It recently opened on the west side of Tosa and is committed to supporting local farmers and businesses. They also compost their food waste and their serving ware is all biodegradable. We were happy to see herbs and vegetables being grown outside the cafe. The interior is clean, updated, and welcoming. I loved the house rules on display! Craig and I shared the smoked tempeh panini. It had roasted garlic hummus, spinach, tomato, and roasted red peppers. We chose the chips and dip for our side. The dip was amazing--it was a white bean and spinach combination. Even my picky husband loved it! The smoked tempeh was delicious and the flavor combinations all worked so well together. We were there around 1:30 on a Sunday afternoon and they constantly had a line! I was glad to see the place hopping. I can't wait to return to Miss Molly's for some baked goods and an espresso or to try another vegan dish in the future.